I tried out two new patterns this week and have fallen in love with both of them! So, as time allows, I will be adding some of these cool items to the shop. 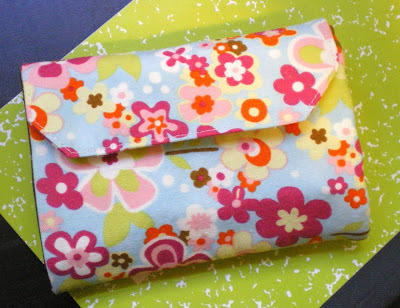 The Crayon Wallet and List Taker pictured above were made for a friend. She sent me the apple fabric wanting something made from it. Unfortunately, I used it all up in this project have but lots of other cool prints to create List Takers from. If anyone falls in love with this particular List Taker and wants one, I can try to track down some more of the fabric . . .it would make a really nice gift for a teacher. 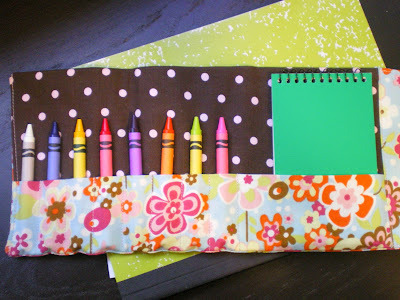 The Crayon Wallet is such a cool thing to have when you have toddlers and younger kids. It comes already stocked with crayons and a notepad and can entertain your kiddo in the car, shopping cart, doctor's office. . . .wherever, whenever. 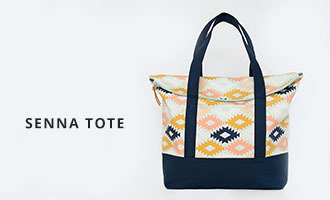 Keep it in your purse or diaper bag, perhaps even in the car in cooler weather (don't want melted crayons!). These would also make great birthday gifts to have on hand for parties or as stocking stuffers this Christmas. The List Taker is the grown up verion of the crayon wallet. 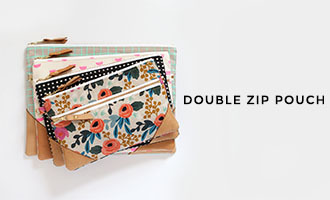 It holds a mini legal pad and pen (both included) and has pockets for your stuff. 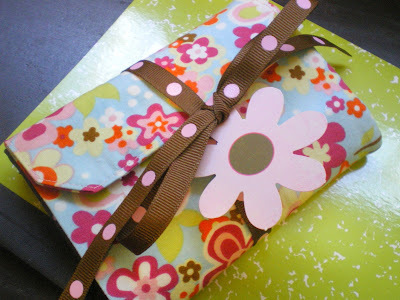 A cool button and ribbon tie keep everything contained. 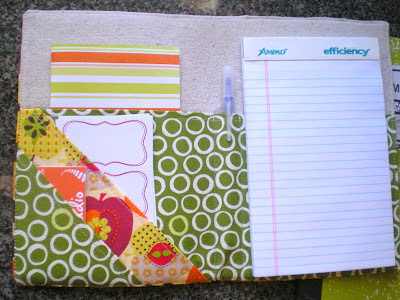 Some possible uses: grocery list and coupon organizer, craft journal, bill paying folder. . . whatever you can think of! These are lovely! 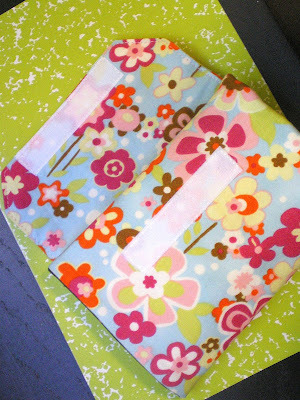 I really like the colors of the fabric you used! Great Job! I can think of three kiddos who would love the crayon wallet and a Mom that would love the list taker! Are they in the shop now? I'm headed there to see!!! Jennie- I had two in the shop but sold one last night. I plan to make more tonight and list them in the morning. I'm actually on my way to find some boy friendly fabric-dont want to exclude the guys! 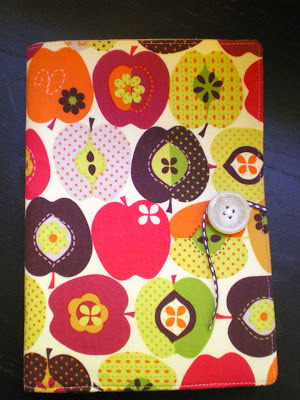 I am seriously thinking about tracking down that apple fabric and getting some more. I was given a fat quarter by a friend and have gotten tons of compliments on the stuff I made from it.